After launching Snapdragon 630 powered AQUOS S3 in March. Now Sharp has launched High Edition version of the smartphone in Taiwan. It has a 6-inch (2160×1080 pixels) Full HD+ display powered by Snapdragon 660 with 6GB of RAM, 128GB storage. 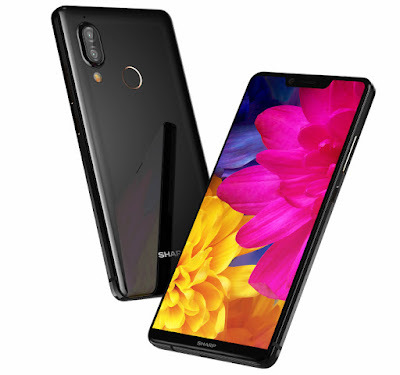 On Camera it has a 12-megapixel primary rear camera with f/1.75 aperture, 1.4um pixel size, dual-tone LED flash, 13-megapixel secondary camera for portrait shots and 2x lossless zoom and a 16-megapixel front camera. Packed with a 3200mAh battery with support for Qualcomm Quick Charge 3.0 and 7.5W Qi Wireless Charging. SHARP AQUOS S3 High Edition comes in Black color priced at NT$ 13,990 and will go on sale from June 11th in Taiwan.